Note ... beginning in 2014 we gave up counting yearly totals and are just now adding to the "lifelist". Click image to enlarge Bank Swallow nest area. Bank Swallow colony nesting bank (holes visible right side of bank), in Mount St. Helens' ash pile near the Toutle River, Washington. Image taken while passenger in car heading south on Interstate 5, June 27, 2012, Canon S960is. Click image to enlarge Bank Swallow colony, The Dalles, Wasco County, Oregon. On Highway 197 just a few miles south of The Dalles. View from moving car. Image taken June 5, 2013, Sony HX300. Click image to enlarge Brown Pelicans, Astoria-Megler Bridge. Image taken while passenger in car on the Astoria-Megler Bridge, heading south, October 5, 2015, Canon S100. Click image to enlarge Cackling Geese near Clatskanie. Image taken while passenger in car on Oregon Highway 30, November 15, 2012, Canon Powershot S95. Click image to enlarge Common Raven, Washington State Highway 14. 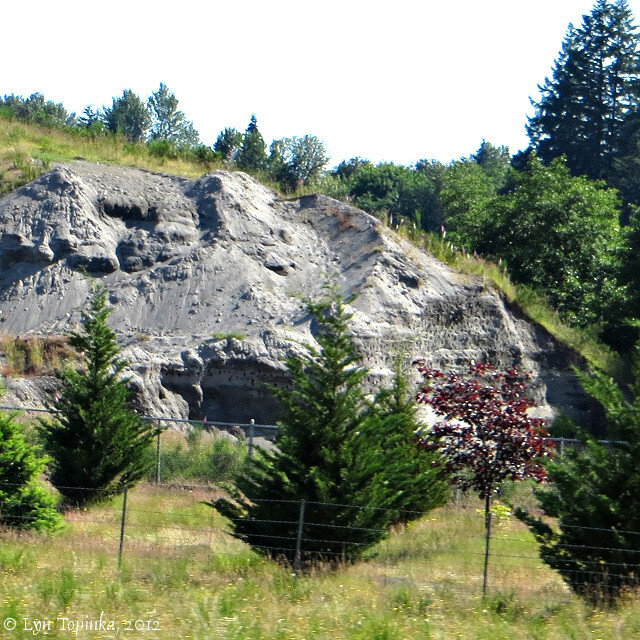 Image taken while passenger in car on Washington State Highway 14 heading to Skamania Landing, Canon Powershot S100. Click image to enlarge Great Egrets. 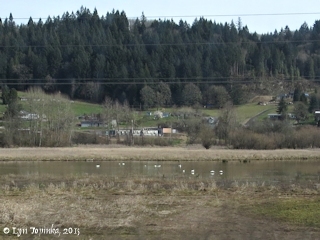 Great Egrets on lake south of Vancouver Lake, as seen from Washington State Highway 501 (Lower River Road), Vancouver Lake Lowlands. Image taken while passenger in car, November 4, 2011, Canon S95. 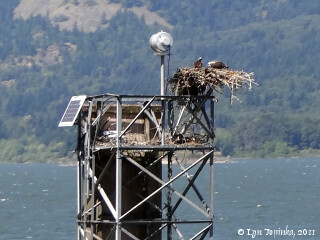 Click image to enlarge Osprey. Osprey nest located east of Multnomah Falls and seen from Interstate 84, Oregon. Image taken while passenger in car, August 12, 2011. Sony "superzoom" HX100v. Click image to enlarge Red-tailed Hawk. 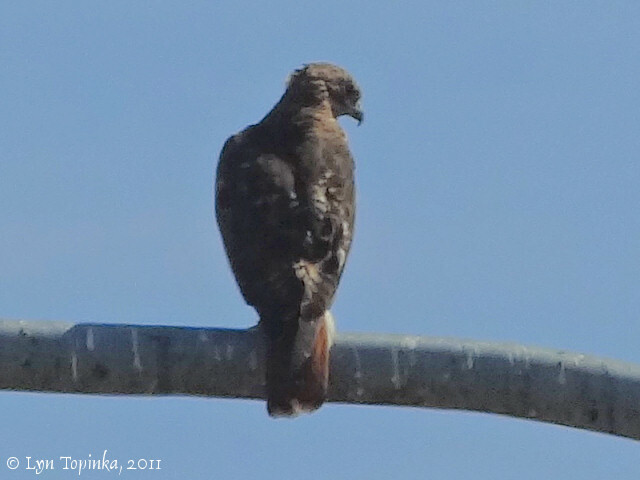 Red-tailed Hawk on light pole on Washington State Highwy 500. Image taken while passenger in car, August 12, 2011. Sony "superzoom" HX100v. Click image to enlarge Rock Pigeons. On Interstate 5 at Hayden Island exit. 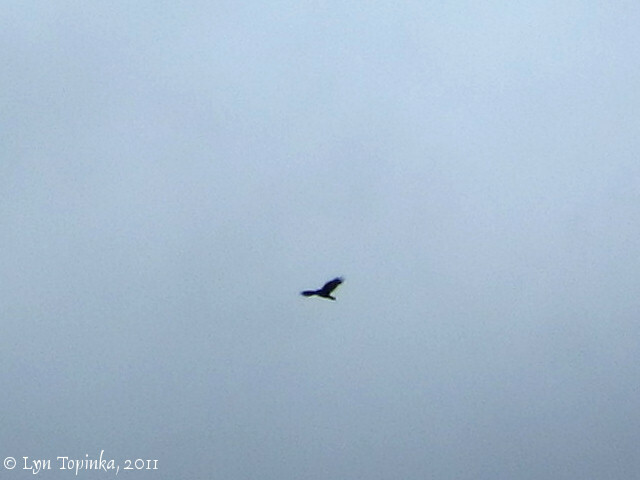 Photographed while passenger in car, November 2, 2011, Canon Powershot 95. 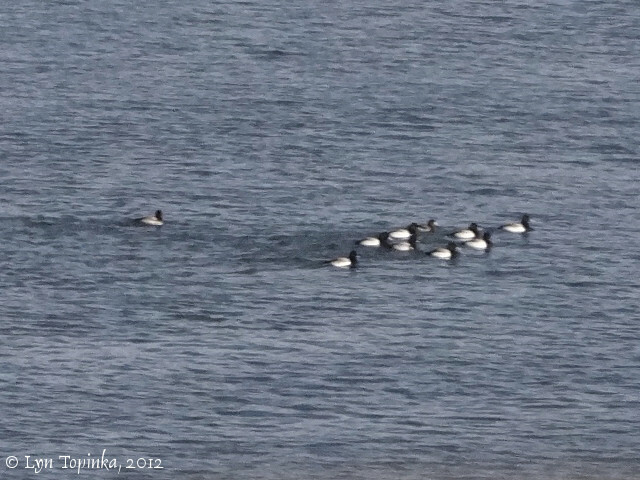 Click image to enlarge Scaup (species). Lesser and/or Greater Scaup. 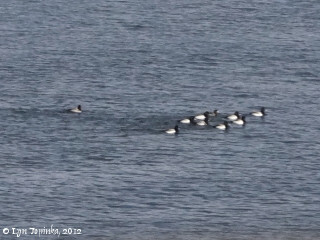 During winter months there are thousands of Scaup along the Columbia River. This particular group photographed while passenger in car, February 5, 2012, Sony "superzoom" HX100v, along Marine Drive between I-5 and I-205, Portland, Oregon. Click image to enlarge Tundra Swans. Tundra Swans as seen from Interstate 5 south of Kalama, Washington, March 6, 2015. 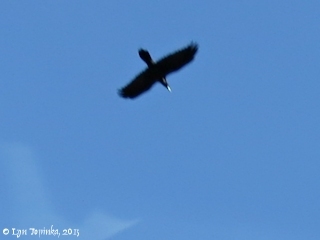 Click image to enlarge Turkey Vulture. 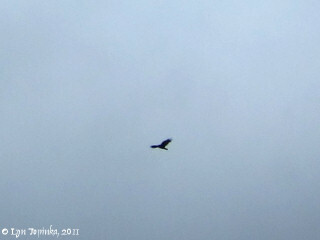 Turkey Vulture seen from Interstate 84, Oregon. Image taken while passenger in car, October 6, 2011, Canon S95.